With the Galaxy Tab S4, Samsung has made it clear it has no intentions of backing out of the tablet market. While tablet sales have been dipping constantly, Samsung has come out with yet another flagship Android tablet. 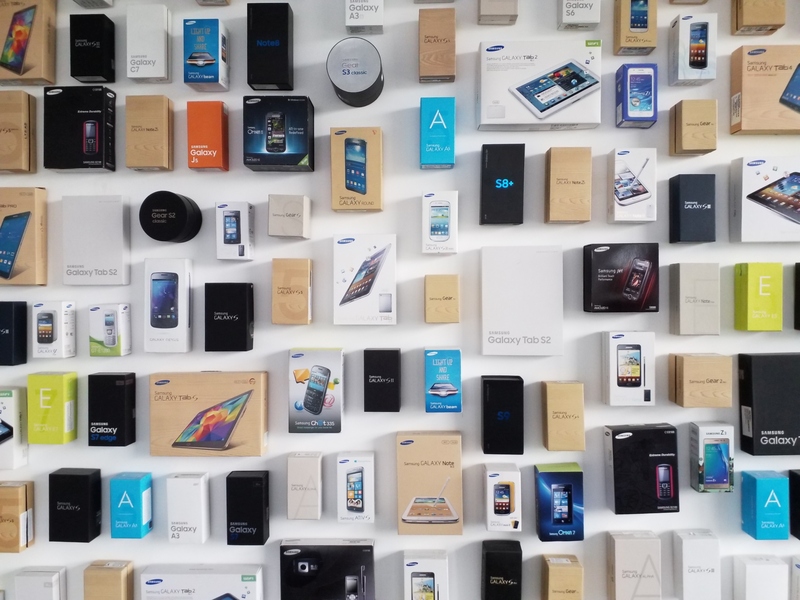 And, this time around, Samsung is making productivity a major goal. That’s why the Galaxy Tab S4 can run Samsung’s DeX interface right on its beautiful AMOLED screen, in addition to featuring an S Pen and an optional keyboard. 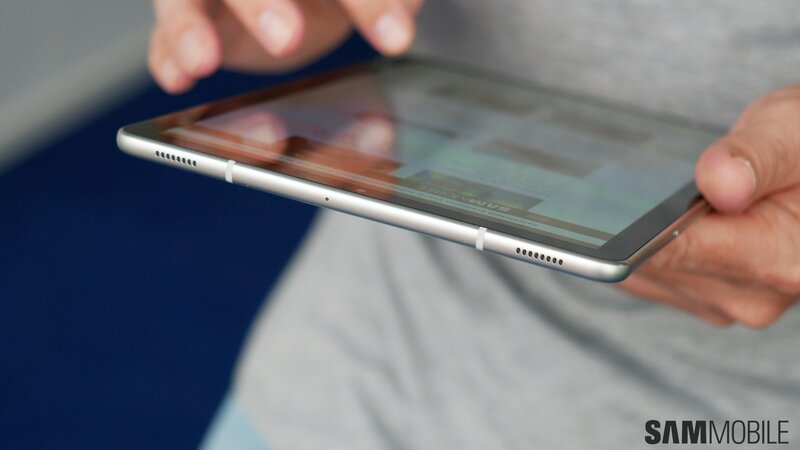 But the Tab S4 is also more suitable for entertainment than its predecessors because of the widescreen format (16:10), fixing the criticism the Tab S2 and Tab S3 received over being inspired by the iPad’s form factor. Of course, you also need to part with a lot of money to get your hands on the Galaxy Tab S4, with the base model (Wi-Fi-only) priced at $650 in the US and €699 in most European markets. The LTE variants add another hundred bucks to the price and the keyboard costs an additional $150/€150, so the price rises for anyone wanting the full package. The Galaxy Tab S lineup has never been good value for money, but does the Tab S4 do enough to make the high price less hard to stomach? 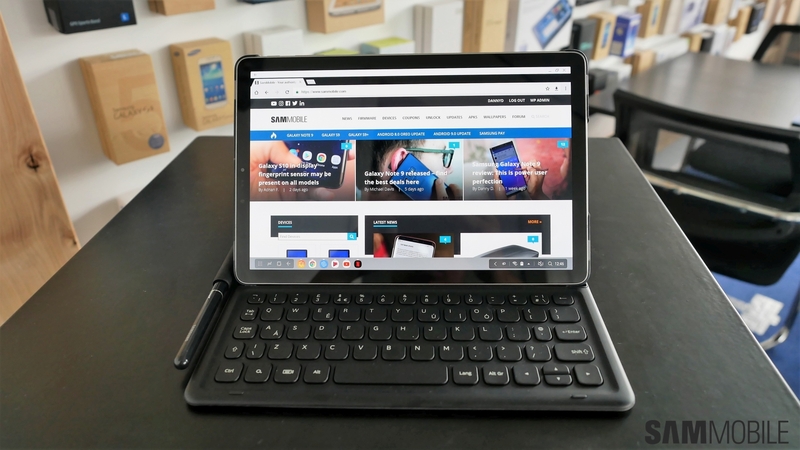 Let’s find out in our Galaxy Tab S4 review. The Galaxy Tab S4, simply put, is a larger version of Samsung’s flagship smartphones when it comes to design. It’s got glass on the front and back and metal on the sides. This year, Samsung has gone back to a 16:10 display ratio, but despite the 10.5-inch display on the Tab S4, it isn’t much bigger than its predecessor as Samsung has managed to trim down the bezels. The fingerprint sensor has been removed and, while this isn’t an Infinity display, you also have software navigation keys. Sadly, there’s no IP rating for water resistance here, which doesn’t sit well with us given the price tag. But the Galaxy Tab S4 feels quite premium overall. And, despite all the glass, it isn’t too heavy for short bouts of one-handed usage even in landscape mode. Of course, that doesn’t mean you will use this thing with one hand too often. That 16:10 form factor makes the Tab S4 very suitable for content consumption and also for getting work done when you want it, and it’s only fitting that you get a beautiful and stunning AMOLED display for holding in your hands. Yes, the Super AMOLED display on the Galaxy Tab S4 is as good as they come. It’s big, bright, vivid, and just downright enchanting. 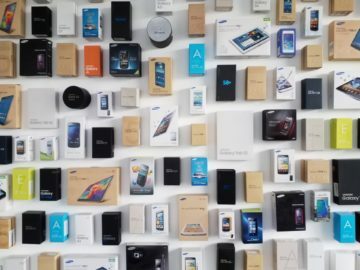 This is the kind of display you need to watch the latest TV shows and movies on a tablet, and there’s nothing else that compares. One thing that we felt was a disadvantage was that the Galaxy Tab S4 doesn’t support zooming into a video to make it fill the screen. Some videos can have black bars on the top and bottom that you cannot remove by zooming in as you can on Samsung’s flagship smartphones with Infinity displays. The 10.5-inch display is big enough for some wasted space to not matter, but it’s unclear why Samsung can’t keep things uniform in this regard across its devices. Accompanying that stunning display are four speakers, same as the Galaxy Tab S3. These speakers sound quite good, but the addition of Dolby Atmos doesn’t seem to make much of a difference. There’s maybe a 5 percent increase in the richness and volume of the audio output with Dolby Atmos enabled. The speakers could also do with higher thump in the lower frequencies (bass), especially when you’re listening to music. 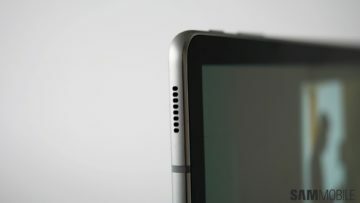 Thankfully, Dolby Atmos can make a noticeable impact over earphones, but unlike its phones, Samsung doesn’t bundle any AKG earphones with the Galaxy Tab S4. 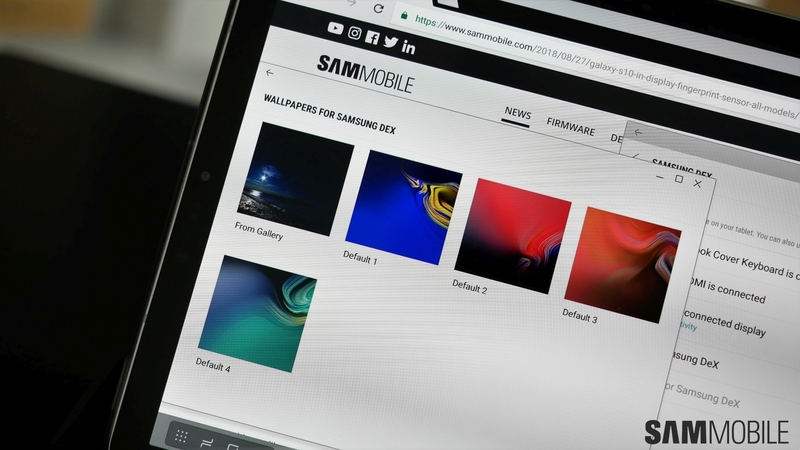 Let’s be clear from the very beginning: The option to enable DeX mode right on the tablet display can be handy, but it also comes with the same limitations that we mentioned in our review of Samsung DeX last year. Not many apps actually support DeX even a year after its debut, so you have to force them to run in full-screen mode. This extends to apps such as Netflix, which is far from an intuitive experience. If you want to browse the web, you have to use the Samsung Internet app because Chrome will open mobile versions of webpages. The same goes for the YouTube app, which also runs in mobile format. And that’s really the problem with DeX. It looks like a desktop environment, but at its core, it’s just Android on a big screen. So unless apps officially support DeX, most stuff is not really that intuitive to use. Thankfully, Microsoft’s Office apps all run fine in DeX mode, although you should keep in mind that since the Tab S4 has a 10.5-inch display, you cannot use the free version of Office (that is only available for screens less than 10.1 inches in size). The Tab S4 fires up DeX mode when you attach the keyboard cover, which you have to buy separately for $150. It’s not the best keyboard you can get for that kind of money, with average tactile feedback from the keys and no backlighting for use in the dark. It’s also rather cramped thanks to its overall size. 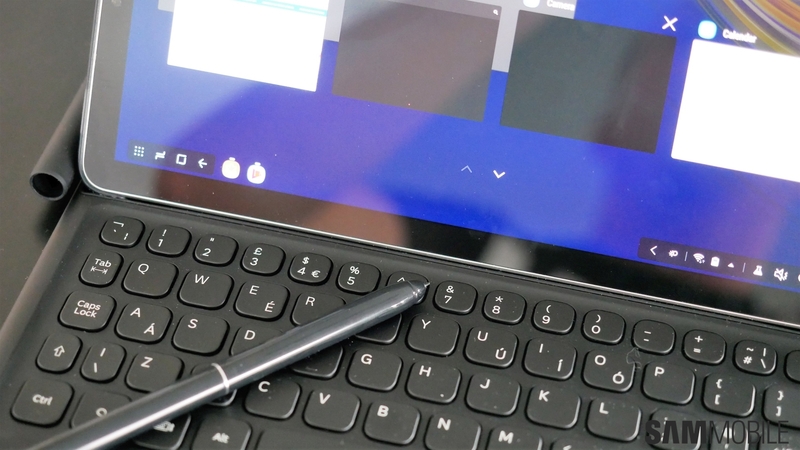 And Samsung should have added a touchpad to the keyboard, since you otherwise have to use the S Pen as a mouse replacement as touch doesn’t exactly work well in DeX mode. You can connect a Bluetooth mouse to get around this, but that’s an additional cost for anyone who doesn’t already own a Bluetooth mouse. You also need to spend additional money if you want to use the Tab S4 in DeX mode on an external monitor, since you need to buy a USB Type-C to HDMI adapter. 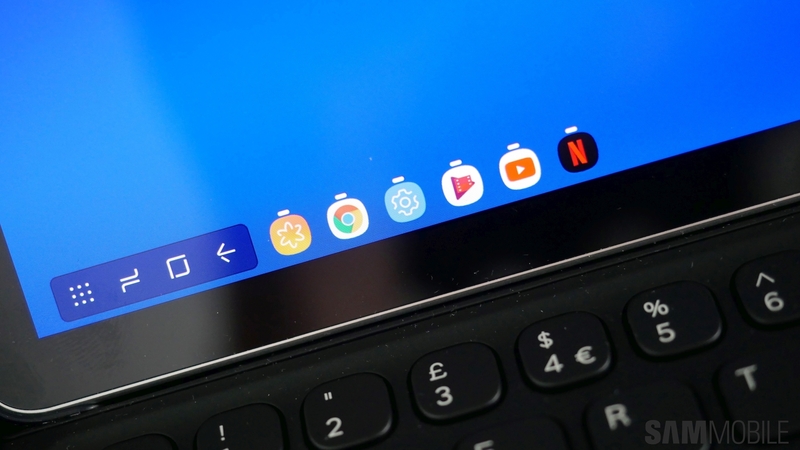 However, what’s nice is that you can use the Tab S4’s display as a second screen and also as a touchpad if you don’t have a Bluetooth mouse. But, again, the overall experience of DeX isn’t that great, so it’s nice for the times you have to get some work done while on the move but is simply not an alternative for proper notebooks. Well, here’s where we can keep things really short and sweet: The Galaxy Tab S4’s S Pen is as good as the one on the Note flagships and works very well on that big display. Functionality-wise you get the usual Air Command menu with the tools we know from the Galaxy Note lineup, including Live Message for sending animated custom messages to your friends and family. 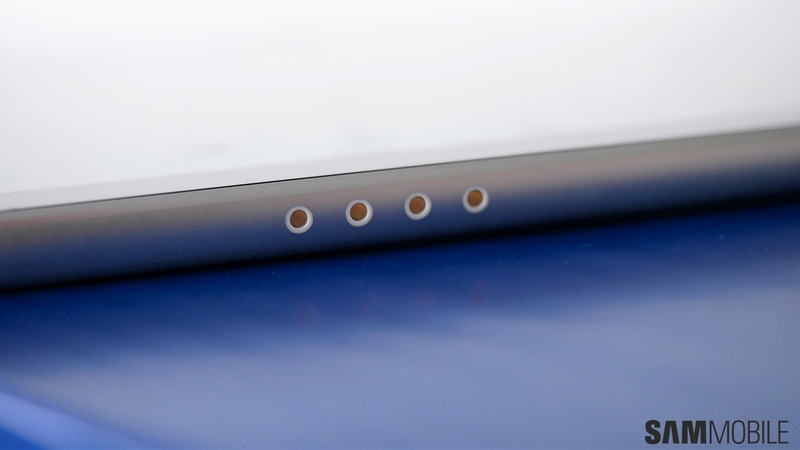 You can also start writing when the screen is off by pressing the S Pen button and tapping the display with it. 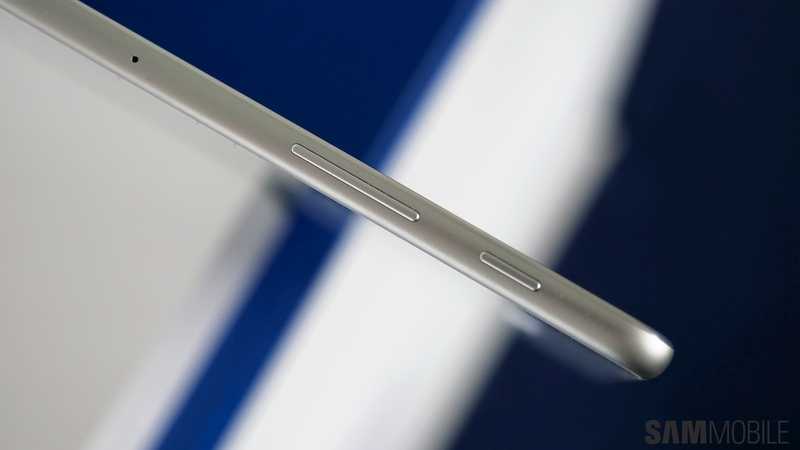 The S Pen, naturally, does not fit inside the tablet, although it does get a slot on the keyboard cover. But if you aren’t going to buy that, you will have to be careful you don’t misplace or, worse yet, damage the S Pen. It might be thicker than the one you get with Samsung’s phones, but it’s not any less fragile. 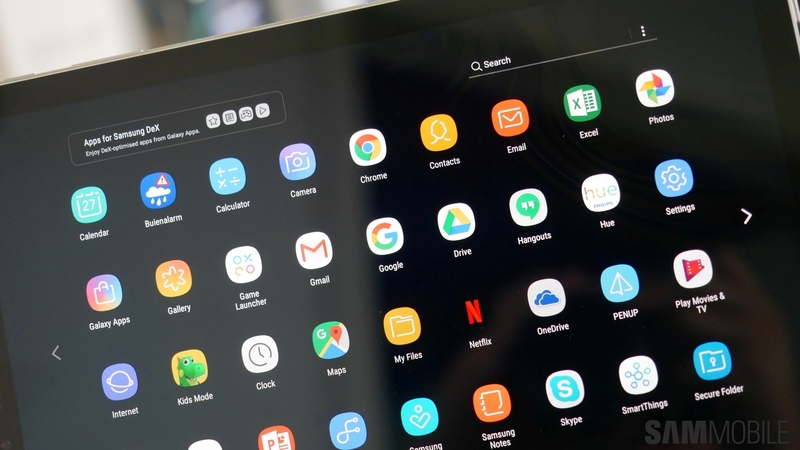 The Galaxy Tab S4, along with the Galaxy Note 9, is one of the first Galaxy devices to run Android 8.1 Oreo out of the box with version 9.5 of the Samsung Experience UX. It’s got the usual fare of Samsung features, such as Secure Folder, but you don’t get support for themes. You can customize the software navigation keys, although like we mentioned in our hands-on experience, it would be great if we could access the navigation keys by swiping in from any side of the tablet, as otherwise they can be hard to reach. Apps like Samsung Notes come preloaded so you can take advantage of the S Pen, and yes, you also get access to Fortnite for Android without needing an invite like owners on non-Samsung devices. Bixby Voice will also be coming to the Tab S4 in the future, but there’s no exact date for the release yet. With a Snapdragon 835 octa-core chipset and 4GB of RAM, the Galaxy Tab S4 isn’t as modern as a flagship device should be, but that has been standard fare for Samsung’s high-end tablets. Despite the year-old internals, the Tab S4 performs admirably in day-to-day usage and even in heavy tasks such as gaming. However, the 4GB of RAM can be a disadvantage in DeX mode with too many apps open. This was also a problem with the Galaxy S8, which had only 4GB of RAM, and it’s disappointing that Samsung didn’t make the jump to 6GB of RAM for the Galaxy Tab S4 given the focus on productivity with the built-in DeX mode. And, well, given the higher price tag as well. Since there’s no fingerprint sensor on the Tab S4, Samsung has equipped it with an iris sensor and facial recognition. 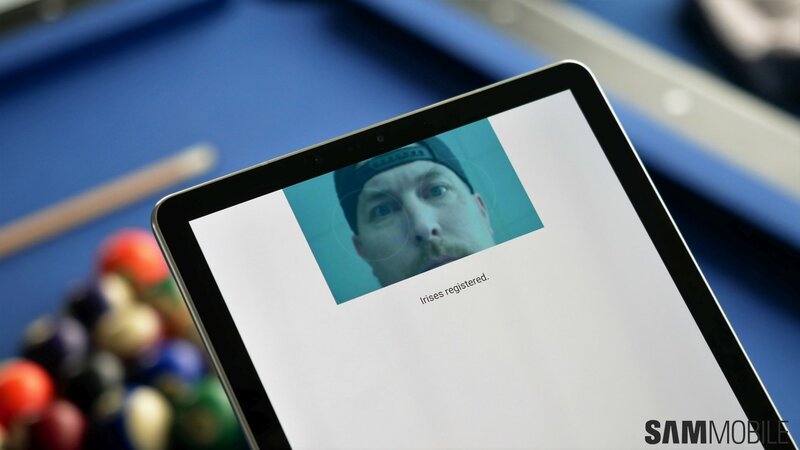 Thanks to Intelligent Scan, both iris and facial recognition can be used together for faster unlocking, although the Tab S4’s size makes things less intuitive than they should be. As expected, that’s because you have to hold the tablet up and line it with your eyes and face for the biometrics to work. Not a big concern in regular usage, but it can be a nuisance when you have the tablet propped up on a desk with Samsung’s Book Cover case. The speed and accuracy of both iris and facial recognition is the same as the Galaxy phones when your eyes and face are lined up, though. With a 7,300 mAh battery under the hood, the Galaxy Tab S4 has excellent endurance. Samsung says you can watch continuous video for 16 hours, and while we weren’t able to go so high, one bout of viewing over five 50-minute episodes of a TV show at high brightness left us with 50 percent of charge. 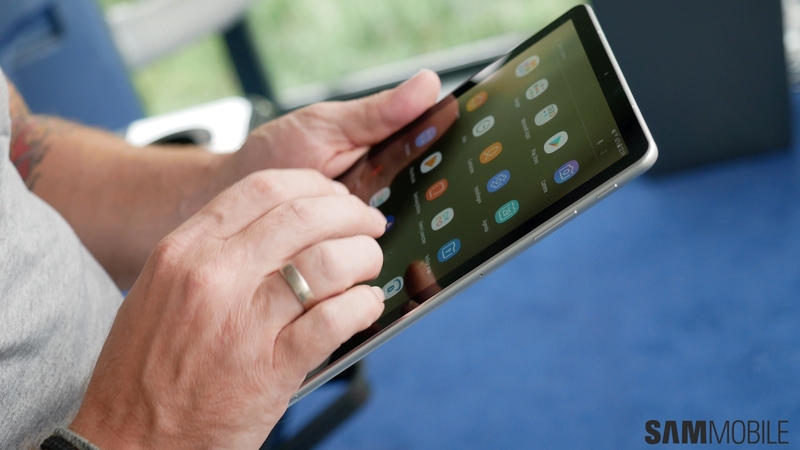 With a mix of standard and heavy usage, including browsing the web, watching YouTube videos, playing a couple of games, and using the tablet in DeX mode a bit, the Galaxy Tab S4 can last all day. Idle battery drain is low at around 4-5 percent charge lost overnight on a Wi-Fi connection, and thanks to fast charging, the battery charges from 0 to 100 in around two hours. The Galaxy Tab S4 comes with a 13-megapixel rear camera with an aperture of f/1.9. As expected, it’s not great. 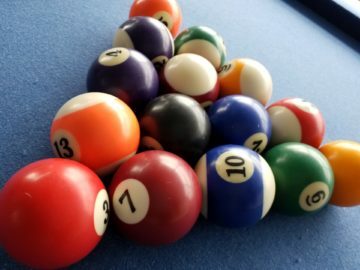 The rear camera can do well in good lighting, but darker scenes come out quite poor. And we also don’t like how Samsung doesn’t have a proper Pro mode for the rear camera. 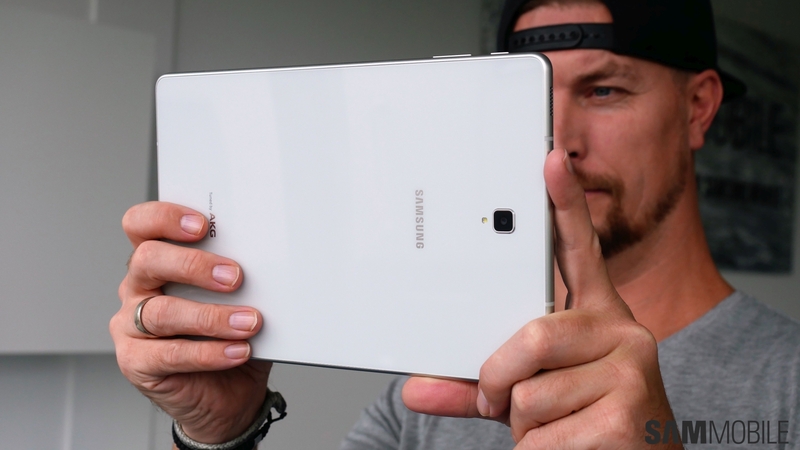 Sure, a tablet, especially one with a 10.5-inch display, isn’t meant for taking pictures. But would it kill the company to offer the complete package for a flagship tablet? The camera sensors aren’t very high-end on a tablet, yes, but that’s no reason to leave a full-featured Pro mode out of the software. The 8-megapixel f/1.9 front camera, meanwhile, gets the job done for video calls and is an upgrade over the 5MP camera of the Galaxy Tab S3. Selfies have sufficient detail as well, but you would be better off using your phone for taking pictures of yourself. 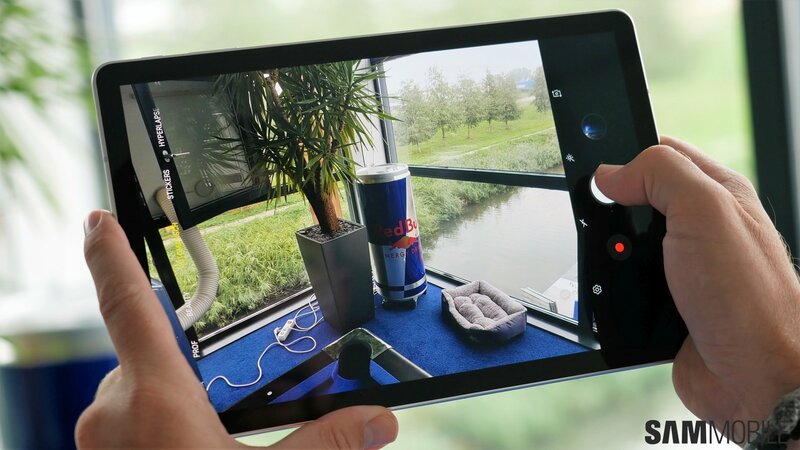 Not that any of this should surprise anyone, but still, don’t expect to be impressed by the images taken by the Galaxy Tab S4. 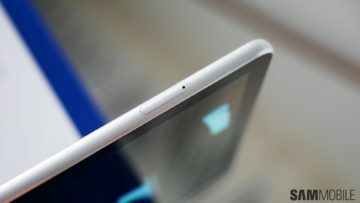 So is the Galaxy Tab S4 worth the asking price? Well, it’s hard to say. 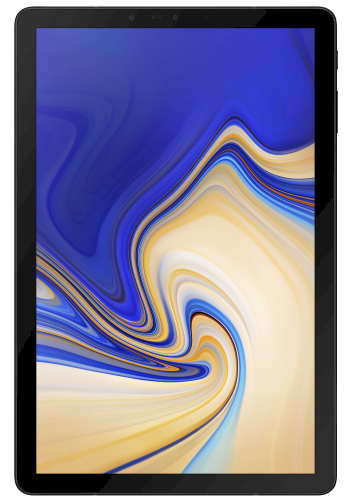 If you are someone looking for a tablet for entertainment and leisure purposes, the Tab S4 has the best display on the market and the specs to keep up for gaming and other such use cases. The S Pen is also great and allows you to be creative, but DeX mode doesn’t offer the best experience for productivity. Samsung’s official keyboard cover also drives up the price too high to be justified. You can certainly get some work done with Samsung DeX, but perhaps a cheap Windows notebook or a Chromebook would be a better option in that regard. At the end of the day, it all comes down to how much money you have lying around. If you don’t mind the Galaxy Tab S4’s price tag, go ahead and grab one. If not, the Galaxy Tab S3 is a cheaper alternative, although its 4:3 aspect ratio makes it less than ideal for binging TV shows on Netflix or catching the latest movie trailers on YouTube. 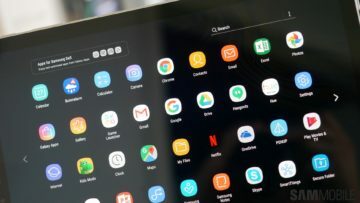 The Tab S4 is the best Android tablet you can buy today, especially for content consumption, but the overall experience just isn’t enough to get a recommendation for anyone who isn’t swimming in money. I think this shouldn’t be happening…. Very happy with mine – only 3 things that I am not too happy about. I have not seen a 4:3 monitor since primary school! my current desktop is a 16:9/10 and has been throughout my work life and is much better for writing on and working on than a square tile. This might surprise you, but a tablet and a desktop monitor are not the same thing. But you want them to do the same thing, otherwise what’s the point (in terms of productivity and continuity)?! My desktop monitor is not 10″, therefore there’s plenty of room even if it’s 16:9. Also I don’t expect it to be easy to handle, or to use it in both portrait and landscape orientations. Seriously, it’s like comparing a sheep and a cow. Could you guys check if the tablet can properly decode HDR videos on Netflix? HDR TV shows and movies look dull and dark on my Galaxy S9 and there are quite a few people on the web complaining about the same issue with HDR10 when watching Netflix on mobile devices. 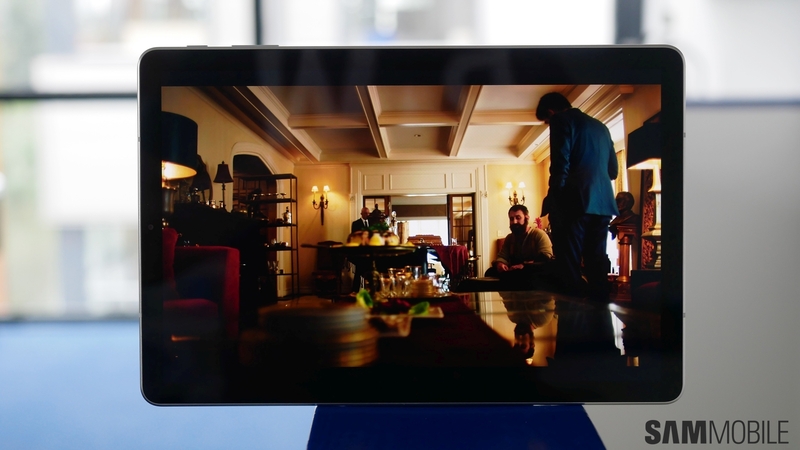 Try playing the same HDR movie on a Tab S 10.5 2014, which does not support HDR, and Tab S4 side by side, it should be very easy to notice the difference. So Netflix HDR on the Tab S4 and other Samsung mobile devices is false advertisement. what is the type of internal memory of the tablet you’ve tested, please ? ufs 2.1 or emmc ? 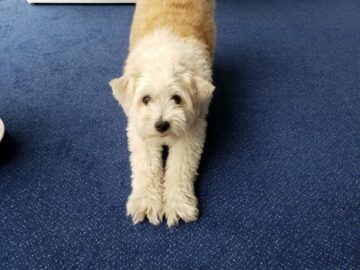 Hmm, will try screen off memo again. Dolby Atmos sounds for me a little bit louder and richer. Thanks about the screen off memo 🙂 We will update our review. 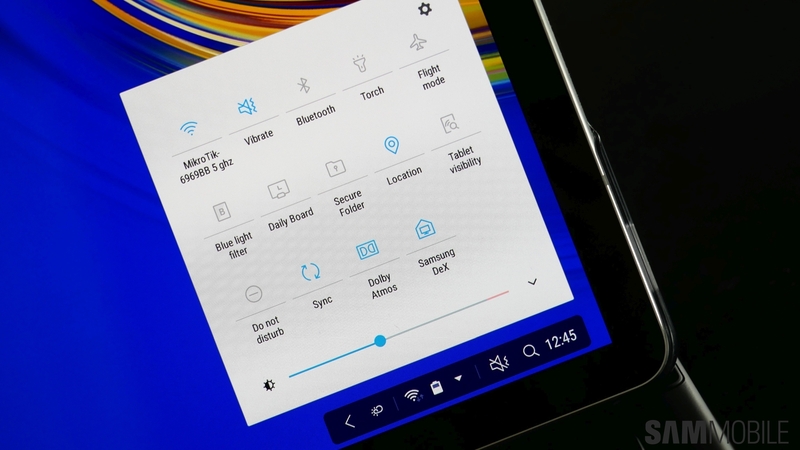 you also missed One Hand+ mode available for the Tab S4 which allows swiping gestures from either side of the tablet (in either orientation) which means you can customise how to go back, recents and home using swiping gestures from the sides. I find it most helpful as a back button especially in games. no longer having to swipe up to get the Nav bar and then press back. just swiping from the side is a lot more natural.